When US Secretary of State Mike Pompeo called for the two sides of the Yemen civil war to sit down for peace talks within 30 days it seemed like it might be a turning point, coming so soon after the Khashoggi uproar that has cast Saudi Crown Prince Mohammad Bin-Salman’s foreign policy adventures into sharper relief. But it didn’t take long for the Pompeo intervention to fall flat, and it can now be added to the growing pile of failed appeals for a peaceful end to the Yemen civil war. This time a new Coalition offensive centered around the port of Hodeida is to blame. Recent progress there – and along several different fronts – have convinced the Coalition it can gain an upper hand over the short-term, reducing its incentive to enter into negotiations. Pompeo’s 30-day negotiation window is already defunct. The UN envoy to Yemen Martin Griffiths has indicated he wants to bring parties in for consultations by the end of the year. 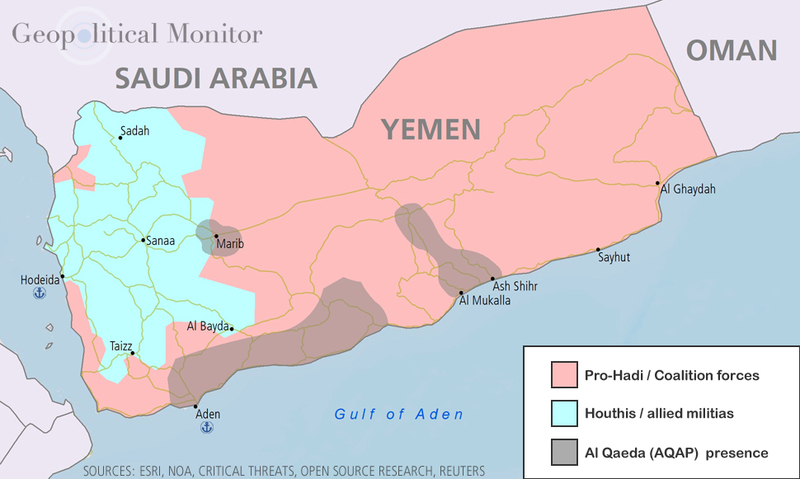 But absent a breakthrough on the battlefield or new efforts to pressure the Yemeni regime from Washington, a negotiated solution is still elusive in Yemen.